Flat roofs are also found on garages, sheds and some homes. This type of roof could show signs of wear long before any leaks are noticed. Straight Line Construction provides Flat Roof Repair throughout El Dorado County, including Sacramento and the surrounding areas. 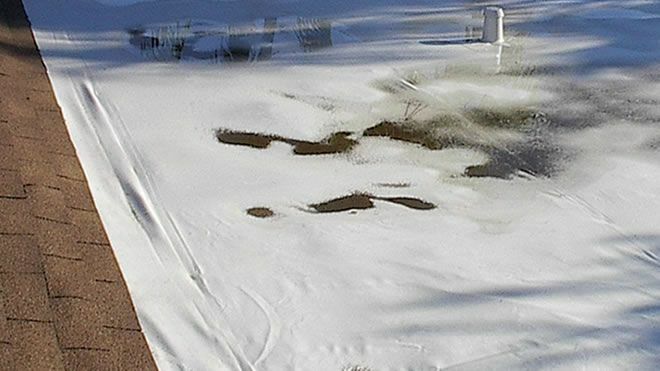 When water stands on top of a flat roof, it can eventually cause the asphalt on it to break down. As a result, if you routinely see standing water on top of your roof, you may want to have it inspected to see if flat roof repair is needed. Cracks in a flat roof indicate the structural integrity of it has been compromised somewhat. If you notice cracks in your flat roof, you may be tempted to simply cover them with tar in order to seal them; however, this is likely to be only a temporary solution to the problem. Flat roofs that appear to be bubbling or blistering could indicate the top layer has separated from the felt underneath. Many times, this will result in a leak directly underneath the blister as a result. This problem can be resolved with the right flat roof repair that involves opening the blister, allowing it to dry, and then using roofing cement to repair the surface. This is something you should not attempt as a DIY project, as an improper repair job could wind up causing even more damage to your roof’s surface. Metal flashing is typically used on flat roofs to keep water from getting underneath the edges and corners of this surface. If the integrity of the flashing is compromised in any way, it could render it ineffective, in which case you’ll need to have flat roof repair performed in order to replace it. 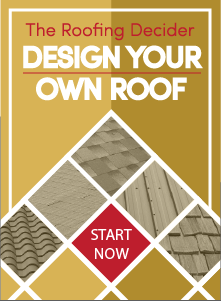 In the Sacramento, California area, the name to call on for flat roof repair is Straight Line Construction. We are experienced in all types of roof repairs, and will provide you with honest, prompt and dependable service. Contact us to find out how we can help you.